showcase several pieces from each contributor. Diepen * Susan Blessinger * Edgar López * and more! 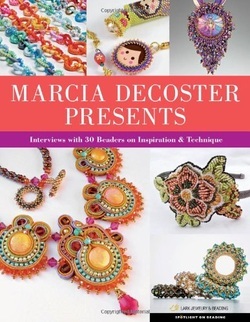 I am delighted to have a special piece of beadwork in the Gallery pages of Marcia's latest book. The book was released August 2013. Soutache is a decorative braid. Attaching it to a backing and embellishing it with cabochons, crystals, and beads, is a hot, trending technique—and this is the first English-language book dedicated to this fantastic, yet relatively easy craft. 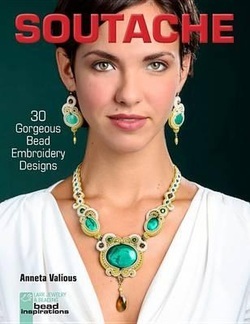 Anneta Valious, the world's top soutache designer, describes the entire process, from sewing methods to making straps to finishing, and provides 25 projects that include necklaces, earrings, pendants, bracelets, barrettes, and more. 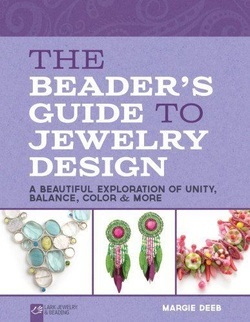 It's the perfect guide for beaders, jewelry makers, and general crafters eager to expand their repertoire and take their designs to the next level. I am thrilled to be yet another Ambassador for Lark Publishing with the impending release of a new book for the '500 series'. 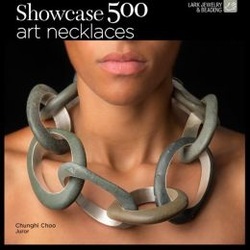 The book '500 Art Necklaces' released June, 2013. I am thrilled to be an Ambassador for this U.S. publication which is due for release August 7, 2012 by Lark Publishing. 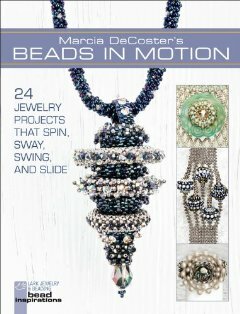 Two of my beadwork designs have been included within these pages. Today, a large community of highly skilled beaders creates work that's every bit as much art as craft. 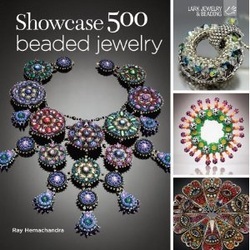 This gorgeous book showcases 500 images of the world's best contemporary beaded jewelry, produced by 275 artists whose work is notable for exceptional technical expertise, innovative combinations, and sheer beauty. The international roster of famous beaders includes Diane Fitzgerald, Marcia DeCoster, Laura McCabe, and Sherry Serafini, as well as talented but lesser-known artists. Beaders of all levels will find much to admire--and inspire--in these pages.